HMMA Team Member: Kim Abrams | Hyundai Motor Manufacturing Alabama,LLC. 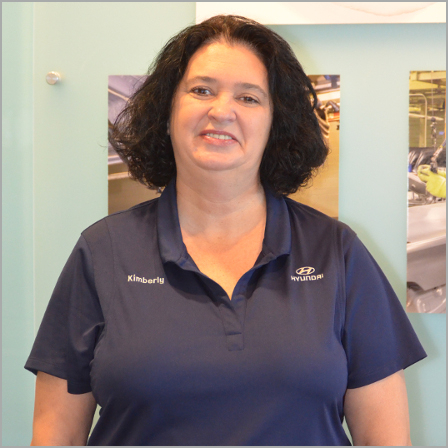 When Kim Abrams first joined the Hyundai team in January 2004, she began as a production Team Member in the weld shop. That experience proved helpful for the next several months as Kim and her team learned the skills they’d need to help start up production later that year. Kim took on the tool room task and stocked it with all the inventory the weld shop would need. Then, in 2010, she was presented with yet another opportunity – this time, a move to the safety department.